PTE Academic is the new age language ability test that is free of any cultural or native skills bias. What brings the cultural neutrality in, is the automated scoring system. The computer-assessed interface of the test also ensures almost instantaneous assessment and quick results (latest within 5 days, but usually within 48 hours). The machine scoring for even the otherwise subjective answers (such as ‘Write Essay’) makes the scoring system a little tedious and so it is necessary that we understand it to score high. Test Interface: The online PTE Academic takes about three hours to complete, with an optional break of up to 10 minutes (scheduled after the Reading section). There are three parts to the test, separately timed: Speaking and Writing; Reading, and Listening). 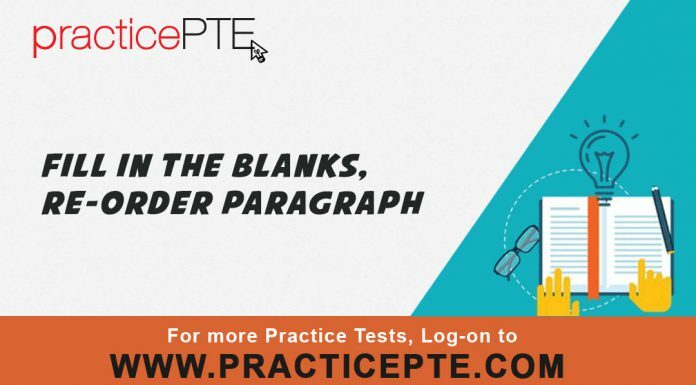 PTE Academic has 20 item types and 70–91 test questions (multiple questions of each type). PTE Academic is an integrated skills test. A listening question, for example, may check your writing/speaking skills also. Scoring System: PTE Academic provides a composite score as well as the separate score for 4 Communicative Skills (Speaking, Writing, Reading and Listening) and 6 Enabling Skills (Grammar, Oral Fluency, pronunciation, Spelling, Vocabulary, and Written Discourse). Each of the scores is scaled to 10–90 points. There are Correct/Incorrect test items (where the credit is either full or zero); Partial Credit items (Full credit, Part Credit, Zero credit) and 3 (three) Negative Score items (same as partial credit items, except that score earned for a right answer, will be cancelled out by a wrong answer to the same question item: +1/-1 = 0; -1/-1 also = 0). The scoring for Write Essay is particularly complex. The essay is first checked for the relevance of content. If the score here is zero, no other score is awarded. Then it is checked for ‘form’ or length. If the length is less than 120 words or more than 380 words, the score is zero, and in such a case, no further score is awarded for any subsequent parameter. On the Test Day: You need to report at the designated test center at least 30 minutes in advance so that you can complete the documentation and check-in formalities (Digital sign-in; Digital photograph; Digital palm scanning; Deposit of your personal belongings; Equipment check etc.). Worldwide Talent Stream Adds a New Hiring Option for Employers in Canada. Is Study in Australia is the best choice for bright future ?